Defensemen Nicklas Lidstrom and Chris Pronger are among the players who could be voted into the Hockey Hall of Fame on Monday. The Hall of Fame will announce its Class of 2015 entrants at 4 p.m. ET. 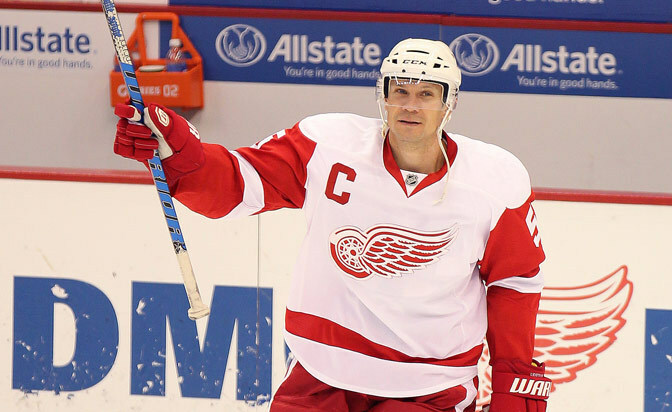 Lidstrom, in his first year on the ballot, is a near-certainty for election into the Hall. He spent his entire 20-season career with the Detroit Red Wings and helped them win the Stanley Cup four times; in 2008 he became the first European-born and -trained player to captain a team to the Cup. Lidstrom also won the Norris Trophy seven times, one fewer than Bobby Orr's eight. He was a First-Team All-Star 10 times and played in the NHL All-Star Game 11 times. And he was still going strong in 2011-12, his final season, which he played at age 41. He was second among Red Wings defensemen with 11 goals and 34 points while leading all Red Wings players with an average ice time of 23:46 per game. He had 264 goals and 1,142 points, sixth all-time among NHL defensemen. He was a career plus-450. But what Lidstrom might be most proud of are the 1,564 games he played, fifth-most among defensemen. He missed 32 games in his first 19 seasons, and never more than six in a single season; in his final season he missed 12. He also skated in 263 Stanley Cup Playoffs games, second-most in League history. "People are asking you how many games you played and how many you missed, and that's something I'm very proud of, that I played in so many games," Lidstrom told The Canadian Press prior to his induction. "I haven't missed many games." Lidstrom helped the Red Wings become the most recent team to win back-to-back championships, in 1997 and 1998. In 2002 he became the first European-born and -trained player to win the Conn Smythe when the Red Wings won the Cup. "What you're dreaming of [is] being on the ice when they're raising the Cup and being part of the celebration," Lidstrom said. "You're so focused on playing, and you want to win that next game and you want to win that Cup again." Pronger, also in his first year of eligibility, is expected to gain enshrinement. He played 18 seasons with five teams. Blending size, snarl and skill, he had 698 points and 1,590 penalty minutes in 1,167 games. 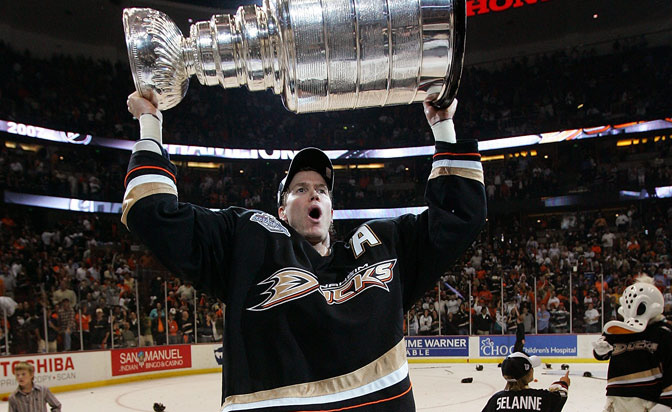 He won the Stanley Cup with the Anaheim Ducks in 2007 and also helped the Edmonton Oilers (2006) and Philadelphia Flyers (2010) reach the Cup Final. His best season was 1999-2000 with the St. Louis Blues when he became the second defenseman ever to win the Hart and Norris trophies in the same season; Orr did it three times. Pronger last played Nov. 19, 2011 because of concussion issues. The Hall can have up to four players in its induction class, and there's no shortage of candidates that could join Lidstrom and Pronger. Among them is Lidstrom's former teammate Sergei Fedorov. Fedorov was part of three Stanley Cup winners with Detroit. He also won the Hart Trophy and Ted Lindsay Award in 1994 and the Selke Trophy in 1994 and 1996. Versatile enough to play center or defense, he had 10 30-goal seasons and finished his career with 483 goals and 1,179 points in 1,248 games. If Lidstrom and Fedorov make the Hall, they would be the eighth and ninth players from the Red Wings' 2002 Stanley Cup team to get in, along with captain Steve Yzerman, forwards Igor Larionov, Brendan Shanahan, Luc Robitaille and Brett Hull, defenseman Chris Chelios and goaltender Dominik Hasek. * Forward Dave Andreychuk, who is 14th all-time with 640 goals; he's scored more goals than any eligible player not already in the Hall. He captained the Tampa Bay Lightning to the Stanley Cup in 2004. * Phil Housley, who is fourth all-time among defensemen in goals (338) and points (1,232), fifth in assists (894) and sixth in games played (1,495). Among American-born players Housley is second to Mike Modano in points. * Goaltender Curtis Joseph is fourth all-time with 454 wins and his 943 games are fifth. He skated in two NHL All-Star Games and won the King Clancy Memorial Trophy in 2000. * Center Eric Lindros, who won the Hart Trophy and Ted Lindsay Award in 1995. Injuries limited him to 760 games, but he had 865 points; his 1.138 point-per-game average is 19th all-time, and second among eligible players not in the Hall. * Goaltender Chris Osgood, who is 10th all-time with 401 wins and was part of three Stanley Cup championships with the Red Wings (1997, 1998, 2008). His 15 shutouts in the Stanley Cup Playoffs are fourth all-time, and he's eighth with 74 playoff wins. * Forward Mark Recchi, who had 577 goals and 1,633 points in 1,652 games. He's 12th all-time in points and has the most of any eligible player not already in the Hall. He won the Stanley Cup with three teams in three decades (Pittsburgh, 1991; Carolina 2006; Boston 2011). * Center Jeremy Roenick, who is fourth all-time among U.S.-born players with 513 goals and 1,216 points. Joining the 2015 inductees at the ceremony in November in Toronto will be Bob McKenzie of TSN, who won the Elmer Ferguson Memorial Award for excellence in hockey journalism, and Nick Nickson, radio voice of the Los Angeles Kings, who is the winner of the Foster Hewitt Memorial Award for outstanding contributions to broadcasting.